4/5 & 4/9/14 Carnivores & Elk Antlers?!? Chironomidae (Diptera): The Non-Biting Midge. They have been everywhere as of late it seems. I was hoping to see more of them this winter season as the last few years hadn’t given up many large emergences that I was able to take advantage of. That’s not to say Midge didn’t hatch in good numbers over the last few years but several anglers I’ve spoken with noted the same lack-luster midge hatches that typically bring a winter angler the smile needed to brave the cold, the snow, and the frozen guides. Midge are one of the most abundant food sources for vertebrates in the streams, one of those of particular importance to me being the trout. So what do I know about midges? I know I’m not a biologist and entomology is a truly complicated subject where amateurs must tread lightly to not over simplify things and avoid making generalizations. I recently requested a copy of a primary research paper co-authored by Dr. Leonard Ferrington of who is in the Entomology Department at the University of Minnesota. If I’m correct I believe he is the department chair and also a fellow at the Chironomidae Research Group. Dr. Ferrington was kind enough to email me a copy of the paper for me to read and although I didn’t understand every aspect of the methods involved I was intrigued to read the paper which is noted below. In this paper they took the unique opportunity to study pre/post midge data from Driftless area streams in S.E. Minnesota (several of which I fish regularly) to see what if any effect a major food event would have on winter emerging midge populations. What I gathered from the research is truly interesting. Midge samples gathered from 2002-2007 were compared to samples taken post 2007 August Floods. The researchers used the same creeks/locations and same methods to obtain the samples and under a microscope examined the casings left behind from adult midge which allowed them to determine the specific taxa of midge that had hatched as an adult. What they found is quite amazing. Remember back to the 2007 floods, houses were wiped away, propane tanks were washed downstream, bridges torn from the landscape and our trout streams were devastated. Record levels of rainfall over a 3 day period occurred. Just thinking how the trout survived is amazing but get this… the midge didn’t just survive, they took advantage of the situation and thrived?!? Dr. Ferrington’s research described them as “opportunistic”. The research paper notes right away that the pre-flood collections of midge did not quantify the numbers of adults counted but it did record the various taxa found so from what I can tell it is a bit limited in the scope of being able to tell us if the floods in August increased numbers but what they were able to determine was that in streams that had “heavy” (10-20cm) and “extreme” (20+cm) rain fall events had an increase in the number winter emerging taxa. Basically (trying not to oversimplify this man’s work) more varieties of winter midge emerged as adults on creeks that got pounded by the 2007 floods. 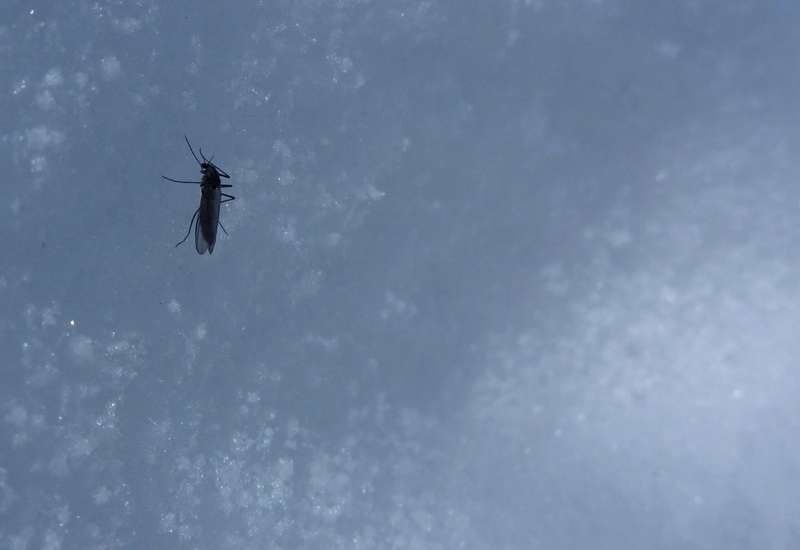 Every creek where samples were collected showed an increase in the variety of midge emerging in the winter. 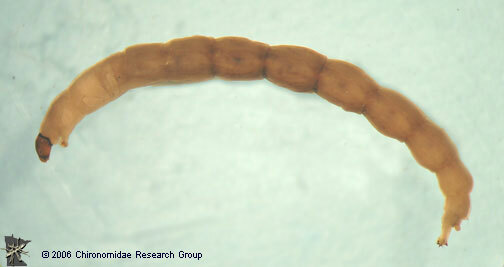 One creek showed 2 varieties of midge in pre-flood collections while post flood showed 11! I should point out a caveat here, midge hatch all year round and we as trout anglers in S.E. Minnesota are primarily interested in one that hatch during the winter months due to the fact that they provide for great fishing. Some of the multiple varieties of midge hatch in small numbers sporadically throughout the year. So back to the paper…mid to late summer flood events produce more varieties of winter emerging midge? What does this mean? What are the implications? According to this research paper it means a couple of things. Some varieties of midge were able to take advantage of less competition, competition from other bugs that got washed out or were less able to handle the flood events. I learned that some invertebrates are more adept at weathering events like this, finding so called “stable” sites rather than being washed away with the cobble/gravel and the increase in variety of midge taxa could be due to this fact. Apparently midge larvae also dig deep (up to 2 meters) into the stream substrate to invade the Hyporheic zone which acts to protect/insulate those that make it that deep from the effects of the flood event. The research suggests that other invertebrates that might have been in direct competition for resources with these other varieties of midge that were allowed emerged post flood were negatively impacted allowing the less “robust” midge varieties to thrive and emerge sooner in larger quanties than they would otherwise be able to. Another factor that could have contributed to the increase in taxa of midge collected post flood is the food available. Some varieties of midge and other aquatic insects eat leaves and other organic matter from the streambed while other varieties of insects filter the food they need from the water. According to the paper some of the varieties of midge that were not seen in the pre-flood collections were of the filter feeding variety which means their competition might have had it’s food source scoured away while they were able to continue filtering food and thrive in the absence of other invertebrates. Interesting stuff if you ask me. To sum up the implications of all this I’ll quote the papers last paragraph. So climate change is here likely to stay and with it an increase in severe high water rain events which will likely lead to more conditions that promote the advancement of those invertebrates that are able to adapt and respond quickly to significant rain events. On one hand it is disappointing to hear about declining numbers of invertebrates leading to fewer and fewer hatches we are all looking for however, on the other hand it is good to know that where there is a will there is a way. Life goes on and apparently in the trout stream world this may mean that the winter trout angling may continue to get better….Raise a glass to the end of winter 2014 (I hope) and to the start of spring and summer, before too long we will be back in snowshoes tossing tiny flies to sipping trout. A special Thank You to Dr. Ferrington for being so willing to send his work to me. I appreciate it. I’m a big fan of silver linings. I’m a big fan of midges!